Back into the Gentoo partition this evening, and things are great. The ATI driver automagically began working again, after not working when reinstalling it after a run with the open-source driver. So I updated that to the latest, before I was only getting 50 – 100 FPS with glxgears, now I get about 500 to 600 FPS with glxgears on my Radeon 9600, talk about an improvement. Now only if October’s driver would come sooner so I can have Compiz fusion running with out XGL. 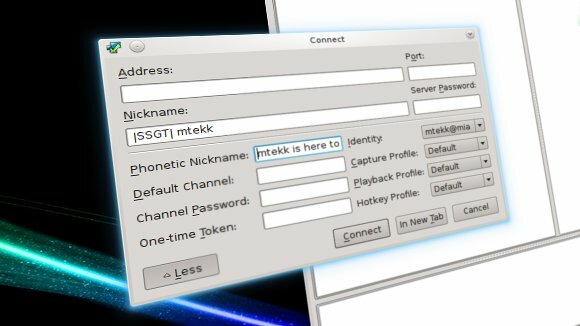 After fixing the graphics issues, I moved on to getting the shared printer on mtekktux to connect on my computer, that didn’t require much effort either. Just a quick configuration of CUPS, and updating HPLIP, setting the printer as default, and Kablam! printing works. ALSA found it! So it was time to test to see if it works, and sure enough it does. The remote doesn’t work (yet), but that’s because Audacious doesn’t hook into the multimedia hotkey functions yet. For something that does not claim Linux support, having the major function of it work is success by any standard. It sounds like AMD will follow Intel’s lead in opening up their graphics processors for open source driver development. Today they released full specifications, no strings attached (in the form of NDAs that is). This comes after last week’s announcement that the new fglrx will offer a major improvement in performance for Linux users. As my computer has a obsolete Radeon 9600, I await the day when running Compiz Fusion is possible without the use of that ugly beast known as XGL. That date is set for October should I decide to stick with the fglrx driver. Hopefully by Christmas the open-source driver will be a truly viable option (I spent three days trying to get it to work with my 9600 with no luck). On a side note, I received over a terabyte worth of hard drives plus other computer components. This time a good portion of the drives are 7200 RPM, and I now have a back-up motherboard (exact same model as my current). Ideally, I’ll add a 250GB hard drive to mtekktux to supplement it’s 80GB drive to turn it into a media and print server. Then I’ll replace my 160GB 5400 RPM hard drive with a 250 GB 7200RPM one for my XP drive, that should shorten the load times for maps in 2142. Well yesterday, both Gentoo 2007.0 and Aptana milestone 8 were released. Thanks to some bugs in a previous release I was able to test milestone 8 on Gentoo last week; that was before ATI’s drivers went kamikaze. Save the file and do a chmod 755 on it so that it becomes executable. Now try typing in the command aptana& into your terminal. If all goes right you should see the aptana splash screen. If you get a bug, look at the log file it directs you to. Should you see something like org.eclipse.swt.SWTError: No more handles [Unknown Mozilla path (MOZILLA_FIVE_HOME not set)] then your mozilla path is not correct. If the executable fails in general, you need to make sure you have the JRE 1.5 or newer. To get this just run emerge -p sun-jre-bin (you don’t have to use Sun’s JRE but that is what I use) if you like what you see then rerun the command without the -p. Once portage finishes doing its stuff, try executing Aptana again. It should work then, if not search the Aptana forums.